The Hub is always looking to bring you the best Bible teaching and in 2012 we have some exciting new studies to complement the digital studies we already offer. 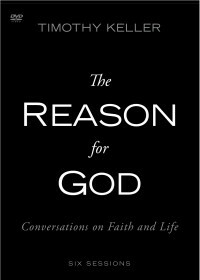 We are partnering with leading publisher Zondervan to bring you The Reason for God by Tim Keller & Sacred Marriage by Gary Thomas as well as many more. You can already download and watch bible studies from John Piper, Mark Driscoll, Matt Chandler, Tom Nelson and Nancy Guthrie. These studies are high quality digital format perfect for people on the go with iPhones, iPads or Android devices. To pair with your Bible Study we have PDF of study guides available as well for just $1.99. Also, be sure and check out this great opportunity to win a fully loaded iPad complete with Mark Driscoll’s sermons and books – Enter Now. Your friends all tell you “Don’t get into a rush, you’ll find the ‘Right One’ soon…” but you expected “soon” to have happened years ago and so you have grown impatient and maybe even a little angry. Trust me. I know. At 35 I’m still single. I’ve had a lot of great relationships (and a few not-so-great) but for some reason (God) they never worked out. I tried various dating sites and participated in various singles groups at church, but here I am, still single – just where God wants me. This Holiday season is the first year that I have heard of Advent. I’ve been a Christian for 30 years and very active in church and ministry and so how has this wonderful tradition escaped me? While attending The Village Church in Denton they showed us this great video. It is a “must-watch” this Holiday season. I love this video and how it repeatedly says that the Israelites “Waited”. They waited on a Savior, they waited on Jesus. They waited for this Messiah that was going to set them free from the curse of the law. Abraham and Sarah waited. Over and over in the Bible we see people waiting for the Lord and when they wait patiently, there is this great blessing. But what happens when we get impatient? What happened with Abraham, Sarah and Hagar? We try to come up with alternative solutions that circumvent God’s perfect plan for us and in the end it only leaves us miserable and in pain. So this year I rejoice in knowing that the Lord has something great in store for me whether that is a single life which allows me much more freedom and flexibility or a wife (and kids?) that will allow for more challenges and opportunity to grow. Either way I’m complete in Jesus Christ. This year I’m not looking around for a woman to fill some Holiday void. There are no voids this season. This year I’m focused on Jesus, His birth and His ultimate gift and I wait patiently, but with much anticipation and joy, for his return. Be blessed this Holiday Season! Eddie is an avid fan of Lord of the Rings, Adobe Software, Dr. Pepper and Apple products. He is the graphic and web designer for The Hub. We are warming up the Holiday’s by giving away 5 Kindle Fire’s! 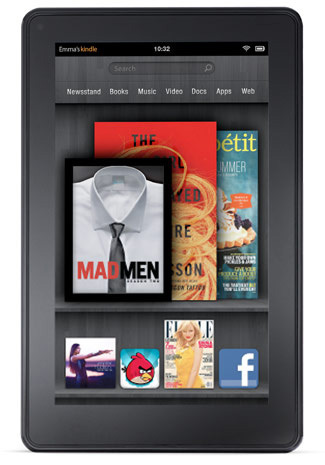 Starting Monday November 14th thru Friday December 16th we will be giving away a Kindle Fire every Friday. Keep it for yourself or give it to someone you love! 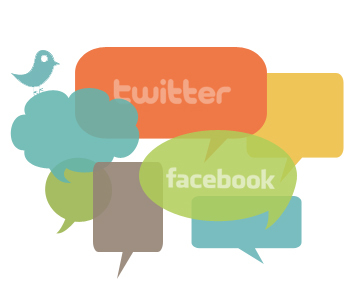 Follow Us on Twitter, “Like” us on Facebook and make sure you have mobile notifications turned on. We will be tweeting a winner every Friday between 10:00 a.m. and 2:00 p.m. CST. You will have 15 minutes to claim your Kindle Fire, if you don’t claim it, we pick another winner. We will keep tweeting winners until we get one and so you’ll want to be following us on your mobile phone so you can win! The Hub is your source for great Biblical Truth from today’s most popular Bible teachers: Mark Driscoll, Matt Chandler, Tommy Nelson, John Piper & more! We use Facebook and Twitter to communicate Free Bible Teaching, Amazing Study Specials and of course fun contests – but we also want to keep you updated on what is happening with our Real Marriage Tour 2012 featuring Mark Driscoll, behind the scenes photos, advanced previews of new books and other relevant news and updates. How do I Mobile Follow on Twitter? It’s easy. Just follow us @gotothehub on Twitter and then look for the small phone icon. Click on it and it will turn on mobile notifications. For detailed instructions click here. Note: Void where Prohibited. Must be 18 years old to win with a valid shipping address. Prize cannot be redeemed for cash value. Help us Connect People to Truth! Starting November 1st through December 1st we will be giving away a DVD Box Set of Matt Chandler’s extremely popular teaching series every Friday. We love to connect socially and share the truth of God’s word and you can help us by following us on Twitter and Liking us on Facebook. It’s so easy to win. “Like” The Hub on Facebook and then leave us your favorite quote by Matt Chandler on our wall on Monday – Wednesday or Follow Us on Twitter and write your favorite Matt Chandler quote with the hashtag #ChandlerQuote . We will pick a winner at random. One from Facebook and one from Twitter. 1. You must be 18 years old to win with a valid mailing address. 2. The prize cannot be redeemed for any cash value. 3. This contest is void where prohibited. Teaching by Tommy Nelson on Conflict, chapter by Mark Driscoll called Friends with Benefits & more. Conflict is part of any healthy relationship. We are humans who were made unique and our differences can sometimes be a struggle. How do you conflict in a loving way with your spouse? Find out how in the full teaching session that will help you handle conflict with your mate. The Hub is pleased to offer this free teaching session of John Piper’s popular series Don’t Waste Your Life. You can view this study as well as 6 other great John Piper’s studies instantly via The Hub’s digital download service. Help us connect people to truth. Like Us on Facebook. The End… Is Coming. Is it October 21st? Enjoy this Free Teaching Session by Tommy Nelson on the true purpose of biblical prophecy straight from the Book of Daniel. For 5 Days Only Get 50% off Daniel DVD Box Set for a Summer or Fall study for only $99 (REG $199) and get 5 Free Study Guides, an additional $50 Value. Better Man. Better Dad. Free Tommy Nelson Teaching. Solomon’s mistakes and life lessons on family, business, money and pleasure are documented in Ecclesiastes. Tommy Nelson unpacks these life lessons in this often misunderstood but most amazing book. These are comments spoken by men who have gone through this DVD study. Give your dad, husband or yourself this Father’s Day Gift that will impact his marriage, kids and the entire way he see’s his life. Ruth is a courageous woman. Boaz is a generous man. Both exemplified great character. Ruth needed a redeemer. We all need a redeemer. The Character of a Great Woman – The Character of a Great Man – How to Find God’s Will for your Life – Your Redeemer – Our King. The DVD Box Set includes 4 DVDS, 10 Sessions and 1 Study Guide.